If you are a big fan of music videos, you cannot fail to enter Muzu.tv a site where you can watch videos and create play lists of music videos for free. Music videos you will see most of the genres as alternative music, blues music, country music, dance music, electronic music, jazz, metal, new age music, pop, punk, rap, rock, reggae, as well as interviews, documentaries and live broadcasts. One of the best features is Jukebox, which lets you tap in an artist’s name and then sit back while Muzu TV builds a video play list based on the music style. The site’s revamp has brought in a few more social and sharing features but really Muzu TV remains all about the music videos. 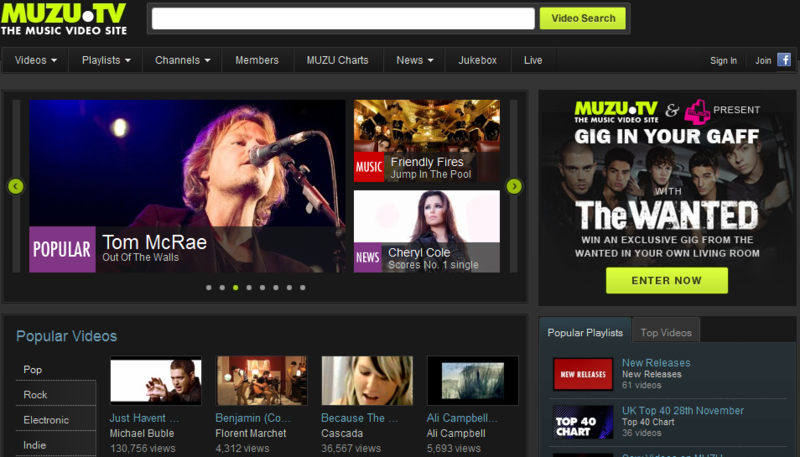 To view music videos not need to register, simply just enter the site and select a category you want. But if you want to create your own list of music videos will have to register for free. Is there completely free iTunes Gift Certificates? Hey, know where I can get free iTunes Gift Certificates?